MT6738 is going to feature the least amount of performance since it will only be packing a quad-core Cortex-A53 processor running at a clock speed of 1.5GHz. Additionally, due to the lesser number of processing cores, this SoC will not be able to render a high resolution in smartphones, as the specification sheet states that the maximum resolution is going to be standing in at 1280 x 720 pixels. However, even mid-ranged handsets are coming with LTE modems and this chipset is going to be no exception since it will be featuring a Cat. 6 LTE chip (300Mbps download and 50Mbps upload speeds). The chip might belong to the previous generation of components, but we have yet to see a carrier capable of delivering those speeds. 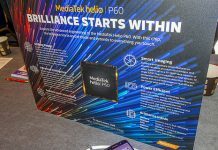 MT6750 is going to be present in the middle ground, and MediaTek might have specifically made this SoC in order to be present in lower end to mid-ranged smartphones, at least according to the Chinese source. 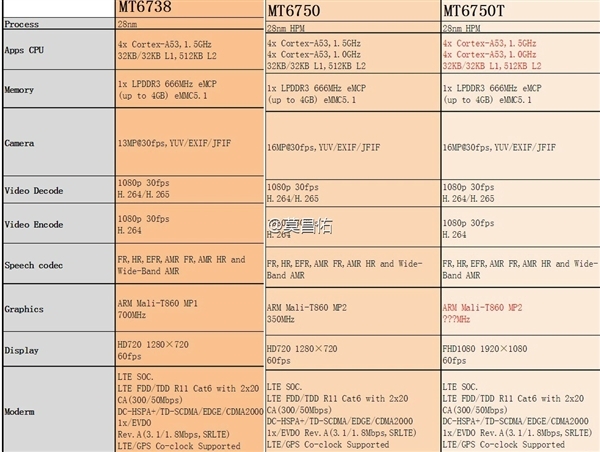 MT6750T however, is going to be the most powerful chipset out of all the three since it will allow a smartphone to render a resolution of 1080p whereas, the previous two were only limited to 720p. All three chipsets will feature a Cat.6 LTE modem and all of them will also be featuring ARM’s Mali-T860 GPU, which the number of GPU cores and clock speed listed below. 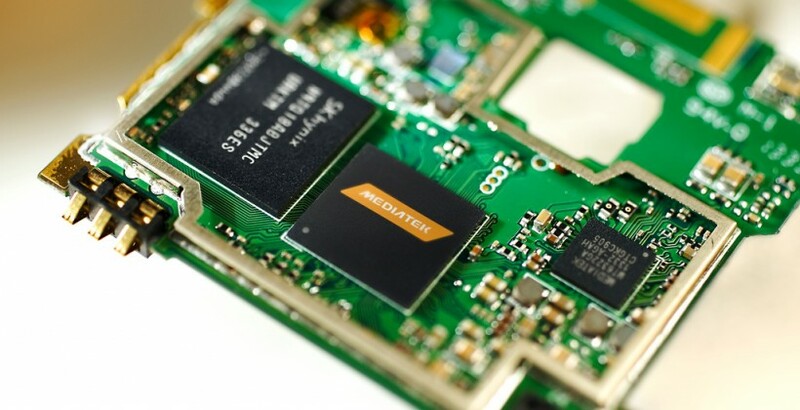 It is not confirmed which smartphone brands are going to take advantage of these low-cost chipsets, but we know for a fact that Chinese OEMs might have already signed up with MediaTek. Hopefully, we will get to see the first Helio X20 smartphone during Mobile World Congress 2016. Previous articleUSB is not working !!! Solved!